Fair Oaks business owner Kammy Burleson was recently appointed to serve on the Board of Directors of the Fair Oaks Chamber of Commerce. Burleson was elected by the current members of the board to fill a previously vacated position beginning June 1, 2008. Ms. Burleson has been a member of the Fair Oaks Chamber of Commerce for five years. 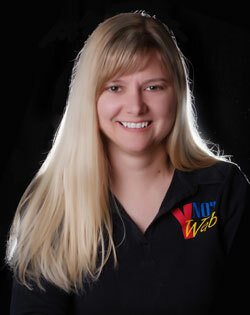 Ms. Burleson started her Fair Oaks-based web development business, YNot Web, in July 2003 and joined the Fair Oaks Chamber shortly after in August 2003. Ms. Burleson is an active member of the Chamber, currently serving on several committees, including the Ambassadors, the Business Development Group, the Taste of Fair Oaks, and the Fair Oaks Dog Walk. Ms Burleson has one several awards, including "Business of the Year" (2006, Fair Oaks Chamber of Commerce) and "Community Volunteer of the Year" (2007, Rotary Club of Fair Oaks). Burleson has previously served on the Chamber’s Board of Directors from 2004-2006 and was instrumental in establishing the Fair Oaks Community Events calendar and the Business Development Group. "I realize this is a critical year for change in our Chamber," said Ms. Burleson. "I hope to help the Board stabilize our organization, grow our membership, and bring about positive change for the business community in Fair Oaks."